This beautiful dark red and white1955 Pontiac Star Chief Custom Safari Series 27 2 door station wagon has a restored body with new paint and interior. 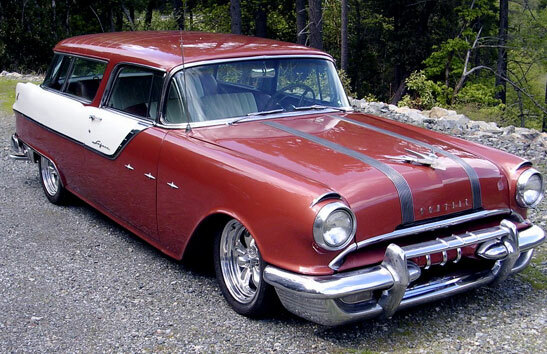 This is the Pontiac version of the 55 Chevy Nomad. The car has custom wheels and low profile tire. 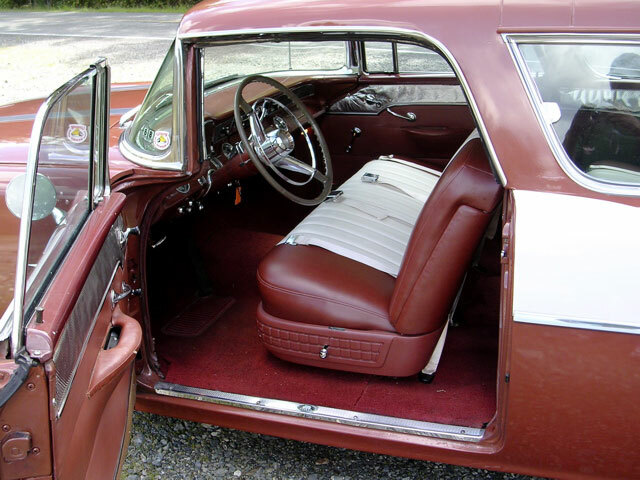 The red and white Naugahyde interior is very nice. 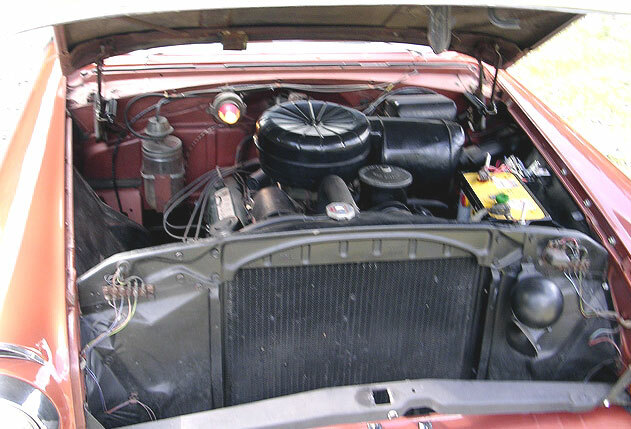 The 287 CID V-8 motor and automatic transmission are rebuilt to new speficiations. 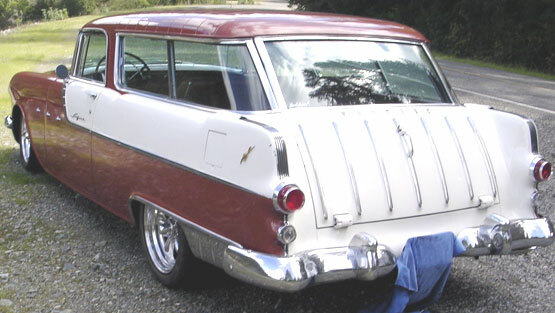 Don't miss this opportunity to own, drive and show a very nicely-done 55 Safari 2 door wagon. Please call (406) 318-0270 for details about this restorable classic project car.